In Moscow, the Christian radio organization is known for its Radio Center project, which was established in 1992. Radio Center - Moscow was granted a license for operating a powerful AM transmitter in Riga, Latvia, to deliver Christian programming in the Russian language into every Russian community in Eastern Europe, including Russia proper, during a time when the Russian government restricted the rights of many Christians groups. Due to growing restrictions and governmental interference, however, Radio Center is moving from Moscow to Riga while keeping a radio studio in Moscow. Its new frequency on the AM dial is 1602 kHz. Last month, Russian lawmakers backed a bill aimed at isolating the country's internet from the rest of the world to secure it in the event of a cyber-attack or other threat. According to the Rev. Andrey Nekrasov, president of RCRC, the creation of this “red button” that gives the State more ways of disconnecting the country from the global network could further isolate Russians from the rest of the world. “As a result, only conventional radio waves can reach our listeners in Russia,” he reported to NRB Today. 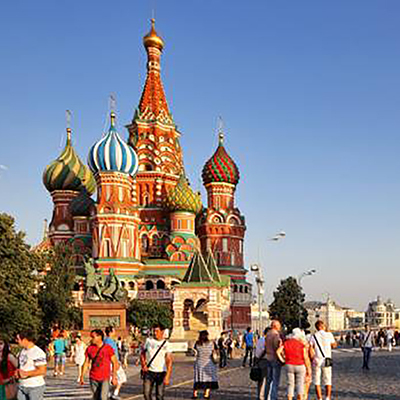 RCRC, a 501(c)(3) with an office in New York, is currently inviting other NRB members to partner with it to help spread the Gospel to reach Russian-speaking people. Its ministry needs include a new AM transmitter, a new antenna (for a location in Latvia close to Russian State border), studio and broadcast equipment, and financial support (for production costs and electricity bills). “Together we can make a difference in this world by preaching the Gospel through the airwaves to reach Russian-speaking people,” he said. For more information, email rcrc@radiocenter.net or visit www.radiocenter.net.